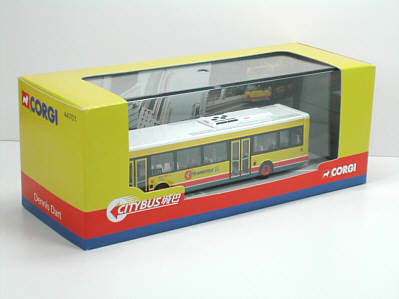 The model - this new casting from Corgi was released in Hong Kong on 21 July 1999 and became available in the UK in September that same year. 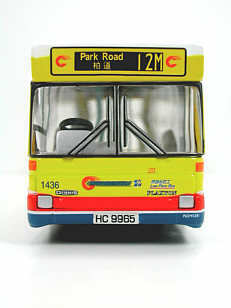 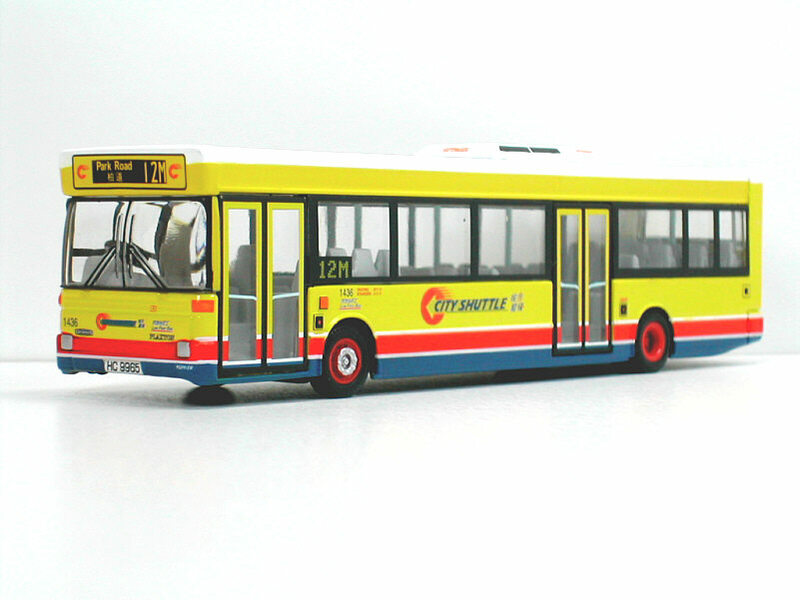 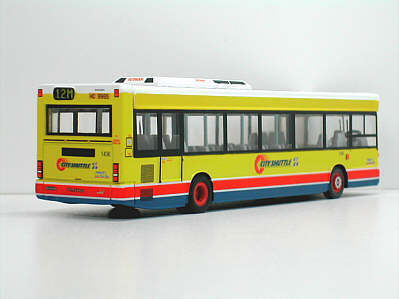 The bus - Fleet No 1436 was the last of a batch of 15 such vehicles which entered service in March/April 1997. 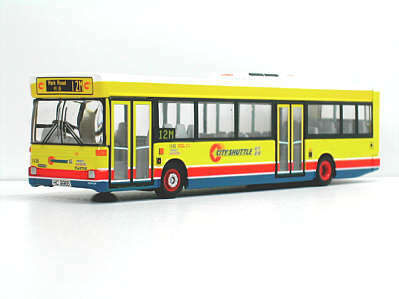 They were to the new low floor design, which meant there were no steps inside the bus from the front door to the rear axle. 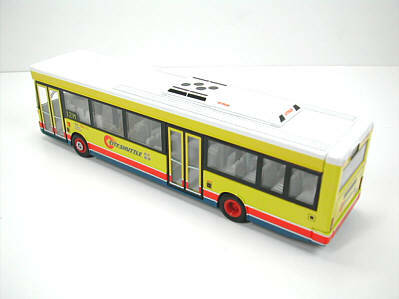 This gave better accessibility for many passengers, especially for the elderly and partially disabled groups. 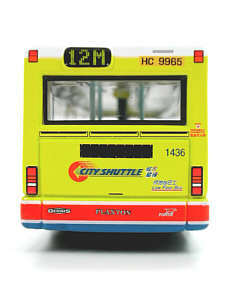 These buses were also the first two-door single-deck buses for Citybus and this helped improve the passenger flow on the busy Mid-levels routes they operated on. In 2000 these 15 vehicles returned to the UK, and several joined Stagecoach United Counties.